Ruk Jaana Nahi Tu Kahi Haar ke...: Memory - How to learn using it! I have been reading a lot of textbooks on "Folklore" these days. I find folklores interesting, but textbooks on folklore are anything but folklore. It teaches the concepts used in folklore. So for example, a chapter on Tribes will explain elaborately the definition of tribes and how different anthropologists and sociologist defines it. It also goes on to derive a set of characteristics that will define a "tribe" and also lists a few examples. Folklore strongly relies on storytelling, music and dance but its concepts are pretty boring and passive in that sense. To remember this I make notes. Then I forget. I am especially worried as in future I plan to learn history. And History will have too much of data to remember. There are two faculties to remembering and reproducing things, as I see it: there is intelligence and there is memory. As we discussed in one of my last blogs on intuitive thinking, the way our memory is structured is both associative and visual. So I wanted to search something for this problem of remembering concepts. Where will I use it? Mostly to blog, and sometimes in exams / assignments. To talk about a topic, we will require both intelligence and memory – Memory to remind you of the topics and its breadth and intelligence to give you a flow to wade through it. Earlier I had read about concept maps and mind maps. A few days back I saw a client of ours taking notes through mind maps. I think she was the first person I saw using mindmaps for practical purpose. So I started reading a little about mind maps. It is made famous by Tony Buzan (you have a Buzan academy in Pune as well). It uses colors, pictures and flow to create visual memory and association. There are many software available for it as well. But I prefer the handwritten way of making it. Got a book on it as well. It basically tells you how to structure the thoughts and then create a flow through it. I heard concept maps are a good help in defining concepts – mind maps are a derivative of concept maps. If you are using one, please share how helpful it has been. If not find more about it J. Next I heard name of Harry Lorayne. Found out a book that he had written about 20-30 years back, which covers some memory techniques. So started reading that yesterday. Though many of these memory techniques as given in the book sound like gimmicks, I think it might really work. He had given a way to alphabetically remember names of 50 states of United States. I tried that with 28 Indian states and can recall all alphabetically now. It talks of creating links. So for Rajasthan, I might picture a Raja in mind, and for Sikkim – some sikke, and for tamilnadu – a mill. Now if I say “Raja ke sikke Mill mein chupaye” – it can remind me of these 3 states. Substitute a word and form a link. Though not sure how would that kind of thing help, except at times when you need to recall a list. While reading all this, I realized that we had passed on knowledge of Vedas from generation to generation based on memory. How would the recitation and memorization of that work? And that brought me to this page on Wiki, where I realized that they used to read (Path) the shlokas in multiple ways, just to remember it. For example if I want to say, my name is Jay. To memorize it, I can say “My name, name is , is Jay” “My, My name , my name is, My name is jay, Jay is name my, jay is name, Jay is, jay” and they really used such reading techniques to memorize Vedas. It is mind blowing to think of it. I think the practices that we have in Carnatic Classical music also follows the same patterns. For e.g. After learning a raga, you practice the swars for a long time and do many exercises like “Sa Re, Sa Re Ga, Re Ga, Re Ga Ma, Ga Ma, Ga Ma Pa, Ma Pa, Ma Pa Dha ….” And so on. This works in Sanskrit (because meaning is not dependent on order of words), but unfortunately we no longer think in Sanskrit and would help us. 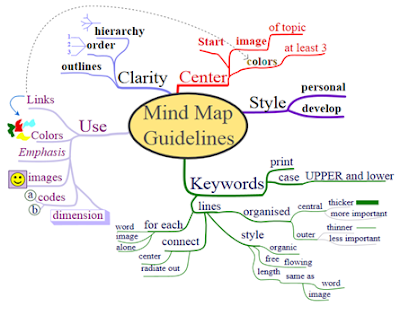 So there might be some cases where you want to structure information, you might use a mind map for it. If you want to remember a list – you use the Harry Loryane technique of Loci Method. If you want to remember names / foreign words you use substitute words. The biggest benefit I think that Americans to whom the book is addressed doesn’t have and we have is that we are as a child exposed to atleast 2 and in most cases 3 languages. So our associations in mind are really managed in 3 languages and that really works in making those associative visual memories to remember things. I am sure there are more memory techniques (like memory pegs, style numbers etc.) and I would like to find out a few as and when I go based on the needs. For now, would like to learn how to structure most of my writings. How to analyze most of my readings and how to study by proper note taking. Do share your experiments if you have tried something on these lines.